We associate garlic with an off-white, uninteresting color. Have you ever noticed a COLOR change in garlic, when it turns to turquoise, blue, or green color, especially when pickled or baked? Why does the garlic change color? More often that not, most people throw away this type of garlic, fearing health risks. But the color change in garlic is no reason not to use this immensely beneficial herb. The colors occur as a result of the reaction of enzymes and amino acids with the sulfur compounds present in garlic. 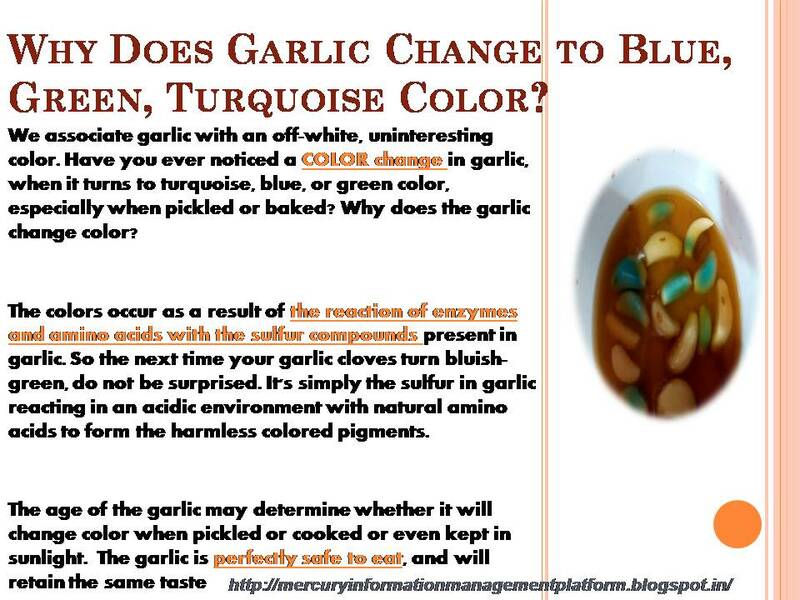 So the next time your garlic cloves turn bluish-green, do not be surprised. It's simply the sulfur in garlic reacting in an acidic environment with natural amino acids to form the harmless colored pigments. The age of the garlic may determine whether it will change color when pickled or cooked or even kept in sunlight. The garlic is perfectly safe to eat, and will retain the same taste. 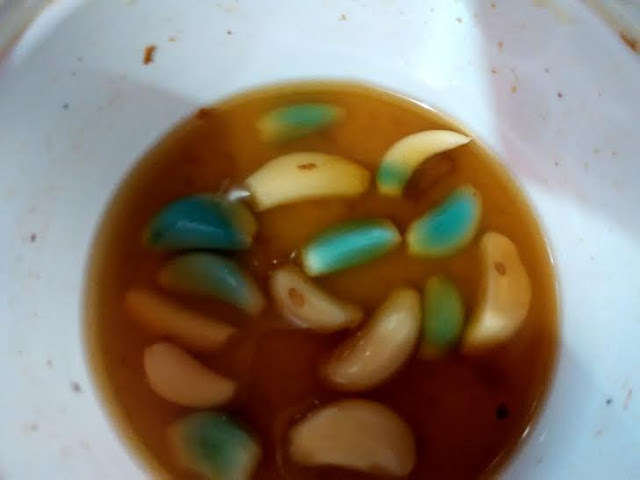 So the next time your garlic changes color, do not throw it. Consider using it in the same way as you have been using it for consumption and derive immense benefits of garlic.